The terms ‘socialism’ and liberalism’ are used a lot nowadays, and many people often mistake one for the other. In order to differentiate between these two terms, one must keep in mind the clear-cut differences by defining the prevailing ideology of each term. The tenets of socialism assert that the state should wield total economic power by manipulating prices of goods and wages of workers. Furthermore, socialism requires people to submit to the rule of law. In return for their compliance, citizens are provided with resources rationed by the government. On the other hand, liberalism is more challenging to define since it is further divided into classical and modern liberalism. Classical liberalism states that the government should take control of an institution in order to ensure that it continues to be of service to the people, free of charge. Classical liberalism does not see any need for the government to enforce law and order and subjugate its citizens under the iron rule of law and order. However, modern liberalism veers away from this ideology by adding a new twist. Capitalists and supporters of democracy believe that socialism and modern liberalism are detrimental to economic progress. Because prices of goods and wages of workers are controlled directly by the government, privately owned companies and institutions cannot flourish under a socialist or modern liberalist government. People who value freedom of speech and human rights likewise oppose socialism and modern liberalism, because they believe that such ideologies limit a citizen’s right to choose which products to buy, what job to take, or what religious belief to espouse. Even though modern liberalism is more subtle and suave than socialism, it still ends up giving too much power to the government in the guise of economic, political, and social security. Socialism holds that only by granting the state total economic and political power can economic progress and equality among citizens be attained. Classical liberalism holds that the state should only take over an institution to ensure that citizens can freely benefit from that particular institution’s services. Classical liberalism does not require the thorough enforcing of law and order to reach economic progress and equality. Modern liberalism holds that the state should interfere not only in economic or political affairs, but also in social affairs, such as day-to-day activities of its citizens. 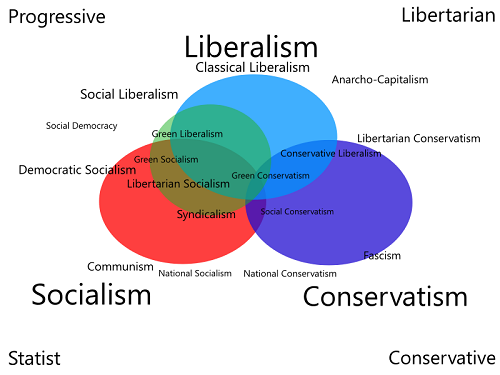 In effect, modern liberalism ceases to be associated with classical liberalism, and instead becomes similar to socialism. Celine. "Difference Between Socialism and Liberalism." DifferenceBetween.net. May 22, 2017 < http://www.differencebetween.net/miscellaneous/politics/difference-between-socialism-and-liberalism/ >. Unfortunately, this article has a very dualistic understanding of politics. There are far greater varieties of socialism or of liberalism than this author articulates. There’s a vast difference between a socialist country like England or Canada and Cuba or North Korea. The question is what in an economy can be planned, and what cannot be. A better term is “mixed economy” when it comes to economics. Liberalism always affirms the conscience of the individual against the state; however it does allow that groups of individuals may have a say within or against governments. Modern “liberalism” has very diverse forms, but it seems that in an economic sense, there is a belief that when businesses lack confidence to buy, the government may step in to increase demand. This is in order to support businesses. Modern kiberals have often, however, decided to check concentrations of power in the state when it came to race relations, and concentrations of power in corporations, who do not have an invested interest in the public. This article is incredibly slanted. “Liberals claim to want to help people but are really embracing the opportunity to further their own ambitions?” The writer’s ambition is to invoke personal objections into what should be a fact-based, non-biased comparison. Talk about bait and switch! How about a little less editorializing. There are individuals of dubious intent in every political party, but that doesn’t warrant blatant generalizing. Libtardisim you mean. To many rights and freedoms are bad news. State ownership of the means of production is never socialism; it’s a form of state-run capitalism. Any political system underpinned by a socialist economic model will be collectivized and decisions about commodity production and distribution are in the hands of workers (as opposed to private owners as is the case in any capitalist system). I don’t know where people get this hokey idea that gub’ment intervention equals socialism. A socialist economy in the (correct) sense of the word indicated above has not existed so far as I know. 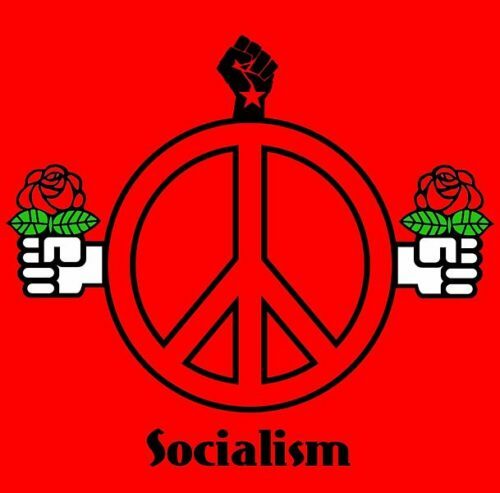 As far as the socialism vs liberalism issue is concerned, I should point out that socialism is concerned first and foremost with equality between individuals whereas liberalism is concerned foremost with individual freedom of action. Liberalism, in all its tepid varieties, is a political system that assumes an economy is organized under some capitalist model; socialism, since it is not a political but rather an economic model, stands in opposition to liberalism as it is by definition non-capitalist. Also, liberals don’t believe granting gub’ment ‘total powerrrr’ is desirable as this is a form of totalitarianism which is as opposed to the primacy of freedom asserted by liberalism as it is to the primacy of equality asserted by socialists. There’s a lot more that could be said but I don’t see the point — suffice say that the author of this article has presented a flippant view of what both socialism and liberalism are and that readers of this article would be better served reading either of the wikipedia articles. So I take it that just anyone with an opinion can present their views as a factual analysis here? Liberalism is going to destroy the western world. believe that socialism and modern liberalism are detrimental to economic progress…” is just one example of the slant of the author. I am appalled. Liberalism will kill the west. best time for you to use the credit card for several causes. I echo the comments of how absurd this explanation is. What’s sad is that people will google “socialism vs liberalism” and find themselves here and probably believing such a poorly written, blatantly obviously biased explanation that grossly oversimplifies economic (socialism) and political (liberalism) systems. This right wing demolition political opinion piece does a disservice to anyone seeking simple facts or real differences between whatever. Everything is not black or white, there are shades of grey but some people prefer to give in to the bandwagon and can’t think deeper than a string of sound bites – I winder ehere they learned to think like that! This is another “Truth” preacher lying through their very teeth and ignoring facts, as usual. “Don’t want to be an American Idiot”. A clearly slanted article, but it’s nice to see some well-phrased and objective rebuttals in the comments section. It almost balances out the article’s opinions. so, I’m a student who wants to have answer on Socialism VS Liberalism, not Modern Socialism VS Classical Socialism, this is ridiculous, i can read difference between modern and classical one in my book, but I Need answer on my true question! Modern liberalism VS classical liberalism, sorry guys i write it by mistake, i was so mad on this article, did author even mentioned the word socialism? This article is total conjecture and seems to have been written by someone who wants to scare people in to believing falsehoods about liberalism and who seems to make liberalism look bad. Liberalism is a philosophy that promotes civil liberties. Socialism generally opposes capitalism and ownership of private property in a way liberalism does not. This article is so biased and misinformed it seems like a bad joke. Not to mention that in the first paragraph alone the author substitutes the definition of state capitalism for socialism, he uses his straw man argument to attack socialism throughout the rest of the article. If the people who run this website take it even somewhat seriously, articles like this should be in the trash where they belong. Where has libtardisim gotten us? We are falling apart. To many people with different ideals. Its going to fall apart and end in civil war. People who use childish name-calling such as “libtardism”, because they are not educated enough to give an intelligent response, are one of the reasons our country is falling apart…it’s called the “dumbing down of America”. Take the time to educate yourself on the real difference between socialism and liberalism. Strawman is a banned word in my vocab. One of the best explanations of Libtardisim I’ve read for a while.